Instagram has reached the summit when it comes to the most amount of daily active users in one place at any one time. What used to be dominated by MySpace and later Facebook and Twitter now sees Instagram as the top of the social media world and growing. Instagram has become a way of life for hundreds of millions of people around the world. Images and videos have moved to the forefront when it comes to what’s being shared and liked the most. The one issue with Instagram is that many marketers still haven’t quite figured out how to make it work for their business. Instagram is a monstrous avenue for traffic just like Facebook and when you really know how to make it work, the social media world is your oyster. In this guide which also includes the Modern Instagram Marketing Video Course, you will what Instagram marketing is all about, the common mistakes that people make, the power of influence marketing, how to promote, how to build your brand and credibility in your chosen niche, hunting down your competitors, curating content, interacting with influencers, building and optimizing your sales funnel and much more. This is the ultimate marketing guide for Instagram users who want to really take their business to the next level. 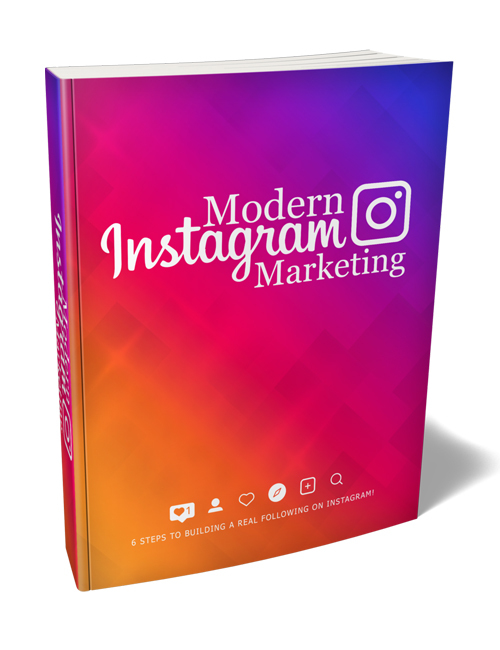 You can also get the Modern Instagram Marketing Video Course if you prefer visual learning. Get it all now.